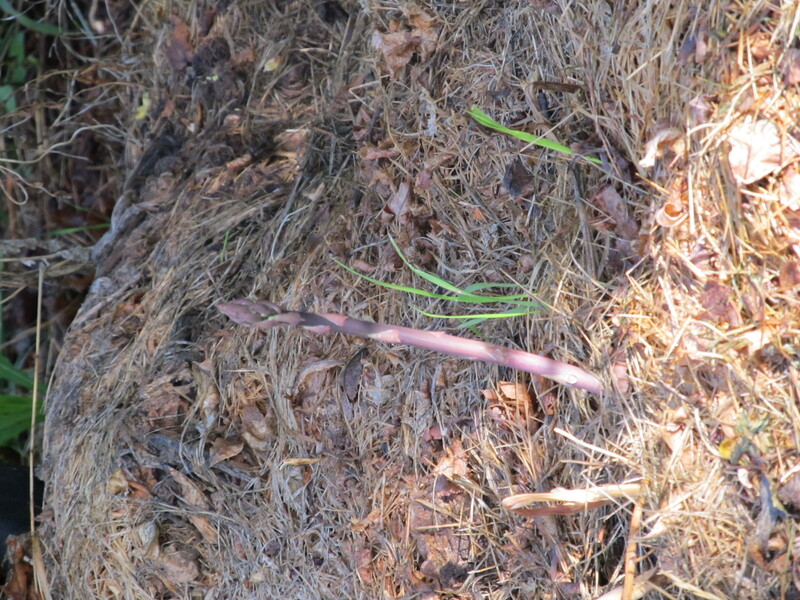 The shoots of Asparagus in the new, horseshoe-shaped bed are up- thinner than pencils, but they show me the plants are alive. I’ll carefully layer more compost on top (carefully, because I don’t want to knock anything over). I’ve had to grub out some thistles that like the compost and moisture, too. Once the trench is up to ground level, I will put on a thick layer of mulch to keep down the weeds. Little asparagus shoots, before I dug out the grass and thistles.